With today’s growing and overloading volume of information, it is becoming tremendously difficult to analyze the huge amounts of data that contain this information. It makes it very strenuous and inconvenient to introduce an appropriate methodology of decision-making fast enough to the point that it can be considered as real-time. The demand for real-time processing information and related data – both structured and unstructured – is on the rise and consequently makes it harder and harder to implement correct decision making at the enterprise level to keep the organization robust and resilient against either manmade threats or natural disasters. Neural networking and fuzzy systems combined show how Artificial Intelligence (AI) can be driven by these combinations as a trainable system that is more dynamic than static when it comes to machine and deep learning language to deal with both adversary and friendly events in real-time. Dynamic systems of AI that are built around such an innovative approach allows the robots of the future to be more adaptive with mechanisms such as principle adoption, self-organization, and the convergence of global stability from the viewpoint of business and intelligence security needed in today’s cyber world. Bahman Zohuri and Masoud Moghaddam, Business Resilience System (BRS): Driven Through Boolean, Fuzzy Logics and Cloud Computation: Real and Near Real Time Analysis and Decision Making System 1st ed. 2017 Edition. David Derbyshire for Mail Online http://www.dailymail.co.uk/sciencetech/article-1355892/Each-person-inundated-174-newspapers-worth-information-EVERY-DAY. html. David Garvin,” Learning in Action: A Guide to Putting the Learning Organization to Work,” Harvard Business Review Press (March 25, 2003). Pamela Babcock, “Shedding Light on Knowledge Management,” https://www.shrm. org/hr-today/news/hr-magazine/Pages/0504covstory.aspx. B. Zohuri and M. Moghaddam, Business Resilience System (BRS): Driven Through Boolean, Fuzzy Logics and Cloud Computation: Real and Near Real Time Analysis and Decision Making System 1st ed. 2017 Edition. Jose Galindo, Handbook of Research on Fuzzy Information Processing in Databases 1st Edition, Published by Information Science Reference; (May 30, 2008). Srdjan Škrbić, Miloš Racković, Aleksandar Takači, Prioritized fuzzy logic based information processing in relational databases, Elsevier, Knowledge-Based Systems, Volume 38, January 2013, Pages 62-73. L. A. Zadeh, “The Concept of a Linguistic Variable and Its Application to Approximate Reasoning–1,” Information Sciences, vol. 8, pp. 199–249, 1975. J. M. Mendel, Uncertain Rule-Based Fuzzy Logic Systems: Introduction and New Directions, Prentice-Hall, Upper-Saddle River, NJ, 2001. Chengdong Li, Li Wang, Zixiang Ding, and Guiqing Zhang, School of Information and Electrical Engineering, Shandong Jianzhu University, Jinan China. Jang, Sun, Mizutani (1997) – Neuro-Fuzzy and Soft Computing – Prentice Hall, pp 335–368. D. Rumelhart, G. Hinton, and Williams R., “Learning representations by back-propagating errors,” Nature, vol. 323, pp. 533-536, 1986. Kurt Hornick, Maxwell Stinchcombe, and Halbert White, “Multilayer feed forward networks are universal approximators,” Neural Networks, vol. 2, pp. 359-366, 1989. Michael D. Richard and Richard P. Lippmann, “Neural network classifiers estimate Bayesian a posteriori probabilities,” Neural Computation, vol. 3, no. 4, pp. 461-483, 1991. E.B. Baum and D. Haussler, “What size net gives valid generalization?,” Neural Computation, vol. 1, no. 1, pp. 151-160, 1989. Belur V. Dasarathy, Nearest neighbor (NN) norms: NN pattern classification techniques, IEEE Computer Society Press; IEEE Computer Society Press Tutorial, Los Alamitos, Calif. Washington, 1991. T.M. Cover and P.E. Hart, “Nearest neighbor pattern classification,” IEEE Transactions on Information Theory, vol. IT-13, pp. 21-27, 1967. David Poole and Alan Mackworth, “Artificial Intelligence, Foundation of Computational Agents,” Published by Cambridge University Press, 2010. Rebane, G. and Pearl, J., “The Recovery of Causal Poly-trees from Statistical Data,” Proceedings, 3rd Workshop on Uncertainty in AI, (Seattle, WA) pages 222–228, 1987. Friedman, Nir; Linial, Michal; Nachman, Iftach; Pe'er, Dana (August 2000). “Using Bayesian Networks to Analyze Expression Data.” Journal of Computational Biology. 7 (3-4): 601–620. doi:10.1089/106652700750050961. PMID 11108481. Retrieved 24 February 2015. Cussens, James (2011). “Bayesian network learning with cutting planes.” Proceedings of the 27th Conference Annual Conference on Uncertainty in Artificial Intelligence: 153–160. Walley, P.: Statistical Reasoning with Imprecise Probabilities. Chapman and Hall, London (1991). Norman Fenton and Martin Neil, “MANAGING RISK IN THE MODERN WORLD Applications of Bayesian Networks,” A Knowledge Transfer Report from the London Mathematical Society and the Knowledge Transfer Network for Industrial Mathematics, London Mathematical Society De Morgan House, 57/58 Russell Square London WC1B 4HS, November 2007. Klir, G. J., and T. A. Folger, 1988: Fuzzy Sets, Uncertainty and Information, Prentice Hall, 355 pp. Kosko, B., 1992: Neural Networks and Systems: A Dynamical Systems Approach to Machine Intelligence, Prentice Hall, 449 pp. McCulloch and Pitts, “A logical calculus of the ideas immanent in nervous activity” in the Bulletin of Mathematical Biophysics 5:115-133. Hassoun, Mohamad H. “Fundamentals of Artificial Neural Networks.” The MIT Press, Cambridge, MA, 1995. Zurada, Jacek M. “Introduction to Artificial Neural System.” West Publishing Company, St. Paul, MN, 1992. Bose, N. K. and Liang, P. “Neural Network Fundamentals with Graphs, Algorithms, and Applications.” McGraw-Hill, New York, NY, 1996. Haykin, Simon. “Neural Networks: A Comprehensive Foundation, second edition.” Prentice-Hall, Upper Saddle River, NJ, 1999. Lerma Sanchez, Leonardo Octavio. “A Neural Network Approach to a Dimensionality Reduction Problem,” Master's thesis, The University of Texas at El Paso, El Paso, TX, 1991. Terrence J. Sejnowski and Charles R. Rosenberg, “NETtalk: a parallel network that learns to read aloud” The Johns Hopkins University Electrical Engineering and Computer Science Technical Report JHU/EECS-86/01, 32 pp. Lerma Sanchez, Leonardo Octavio. “A Neural Network Approach to a Dimensionality Reduction Problem.”. Master's thesis, The University of Texas at El Paso, El Paso, TX, 1991. Dayhoff, Judith E. “Neural Network Architecture: An Introduction.” Van Nostrand Reinhold, New York, NY, 1990. Bahman Zohuri and Masoud Moghaddam “Business Resilience System (BRS): Driven Through Boolean, Fuzzy Logics and Cloud Computation: Real and Near Real Time Analysis and Decision Making System” 1st ed. 2017, Springer Publishing Company. Bach, M. “The Design of the UNIX Operating System.” Prentice-Hall, Englewood Cliffs, NJ, 1986. Beale, R. and Jackson, T. “Neural Computing: An Introduction.” Hilger, Philadelphia, PA, 1991. Velasquez, Guillermo. “A Distributed Approach to a Neural Network Simulation Program.” Master's thesis, The University of Texas at El Paso, El Paso, TX, 1998. Gurney, Kevin. “An Introduction to Neural Networks.” University of Sheffield Press, London, UK, 1997. Robert Krulwich (2001-04-17). Cracking the Code of Life (Television Show). PBS. Economic Impact of the Human Genome Project – Battelle” (PDF format). Retrieved 1 August 2013. Human Genome Project Completion: Frequently Asked Questions.” genome.gov. Arbib, Michael A. “Brains, Machines, and Mathematics: Second Edition.” Springer-Verlag, New York, NY, 1987. Widrow, B., and Hoff, M. E., Jr., 1960, Adaptive switching circuits, in 1960 IRE WESCON Convention Record, Part 4, New York: IRE, pp. 96–104. M. L. Minsky and S. A. Papert, Perceptions: An Introduction to Computational Geometry expanded edition, The MIT Press, Cambridge, MA, 1988. Rumelhart, D. E., Hinton, G. E., and Williams, R. J., 1986, Learning internal representations by error propagation, in Parallel Distributed Processing: Explorations in the Microstructure of Cognition, vol. 1, Foundations, (D. E. Rumelhart, J. L. McClelland, and PDP Research Group, Eds. ), Cambridge, MA: MIT Press, chap. 8. Yates, J. S. (2004). Doing Social Science Research. London, Sage Publications in association with the Open University Press. David Leech Anderson, “Humans using machines, humans as machines: Implications for teaching and learning,” Humanities and Technology Review Fall 2008, Volume 27. Pages 1-23 ISSN 1076-7908. Davis Leech Anderson, http://www.mind.ilstu.edu/curriculum/modOverview.php? modGUI=239. Bahman Zohuri, Directed Energy Weapons: Physics of High Energy Lasers (HEL) 1st ed. 2016 Edition, Springer Publishing Company. David L. Anderson, http://www.mind.ilstu.edu/curriculum/functionalism_intro/ functionalism_intro.php?modGUI=44&compGUI=1945&itemGUI=3403. Gears of war: When mechanical analog computers ruled the waves Ars Technica. O. Bournez & M. Cosnard (1995). ‘On the computational power and super-Turing capabilities of dynamical systems’. Tech. Rep. 95-30, Ecole Normal Superior de Lyons. Mohamad H. Hassoun, Fundamentals of Artificial Neural Networks, MIT Press, Massachusetts Institute of Technology, Cambridge, Massachusetts, First Edition. Andrew Friedman, “The Fundamental Distinction between Brains and Turning Machines,” published paper with neuroscience special report, pp 28-33, 2002. Fei Su of Intel Corporation and Krishnendu Chakrabarty of Duke University, “High-Level Synthesis of Digital Microfluidic Biochips.” Duke University. M. Schena, D. Shalon, R. W. Davis, and P. O. Brown, “Quantitative monitoring of gene expression patterns with a complementary DNA microarray,” Science 270, pp. 467–470, 1995. G. MacBeath, A. N. Koehler, and S. L. Schreiber, “Printing small molecules as microarrays and detecting protein-ligand interactions en masse,” J. Am. Chem. Soc. 121, pp. 7967–7968, 1999. 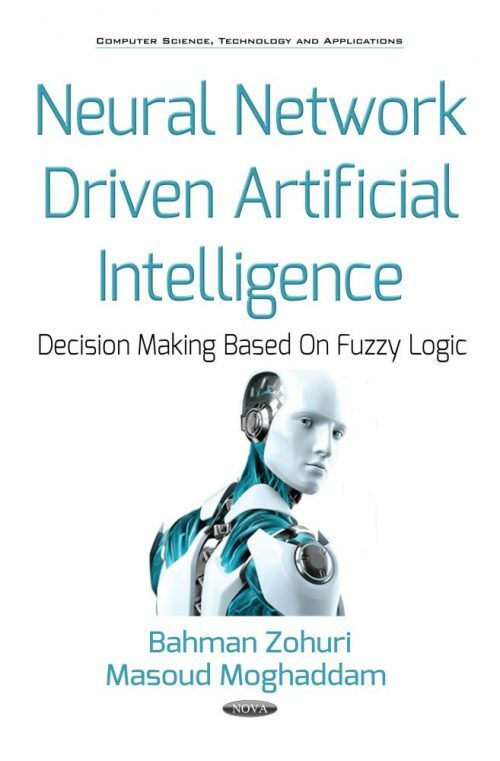 Jitesh Dundas and David Chik, “ Implementing Human-like Intuition Mechanism in Artificial Intelligence” Edencore Technologies Ltd. Row House 6, Opp Ambo Vihar, Tirupati Nagar-II, Virar (w), Thane-401303, India. Kahneman D. (2003) A Perspective on Judgment and Choice. American Psychologist, 58(9), 697-720. John McCarthy. Mathematical Logic in Artificial Intelligence. Daedalus. Vol. 117, No. 1. Artificial Intelligence (Winter, 1988), pp. 297-311.MIT Press on behalf of American Academy of Arts & Sciences. Online: - http://www.jstor.org/stable/20025149. Aaron Sloman. INTERACTIONS BETWEEN PHILOSOPHY AND ARTIFICIAL INTELLIGENCE: The Role of Intuition and Non-Logical Reasoning in Intelligence. Artificial Intelligence 2 (1971), 209-225. Jitesh Dundas and David Chik. IBSEAD: - A Self-Evolving Self-Obsessed Learning Algorithm for Machine Learning. IJCSET (URL: - http://ijcset.excelingtech.co.uk/). Volume 1. Issue 4. No 48. December, 2010. Jitesh Dundas. Law of Connectivity in Machine Learning. International Journal of Simulation- Systems, Science and Technology - IJSSST (URL: - http://www.ijssst.info/). Vol. 11, No. 5. Dec 2010. (ISSN: 1473-804 x Online) and (ISSN: 1473-8031 Print). UK. Christopher M. Bishop, “Patten Recognition and Machine Learning,” Published by Springer Publishing Company, 2006. Eeckman, F. H. and Bower, J. M. (eds.) (1993). Computation and Neural Systems, Kluwer Academic Publishers, Boston. Bower, J. M. (1992), Modeling the nervous system, Trends Neurosci. 15: 411–412. Robert Hecht-Nielsen, Neurocomputing, Addison-Wesley Publishing Company, 1989. Rosenblatt, F., “Principle of Neurodynamics,” Spartan Book, Washington DE, 1961. Steinbuch, K., “Automat und Mensch,” Second Edition, Springer-Verlag, Heidelberg, 1963. Bahman Zohuri, Dimensional Analysis and Self-Similarity Methods for Engineers and Scientists 2015th Edition, Springer Publishing Company. Stamatios V. Kartalopoulos, “Understanding Neural Networks and Fuzzy Logic, Basic Concepts and Applications,” IEE Press, 1996. Rall, W. (1959), Branching dendritic trees and motoneuron membrane resistivity, Exp. Neurol. I. Simulation of current clamps in slice, J. Neurophysiol. II. Simulation of synaptic responses, J. Neurophysiol. Rapp, M., Yarom, Y. and Segev, I. (1992). The impact of parallel fiber background activity on the cable properties of cerebellar Purkinje cells, Neural Computation 4: 518–533. Segev, I., Rinzel, J. and Shepherd, G. H. (eds) (1995). The Theoretical Foundation of Dendritic Function: Selected Papers by Wilfrid Rall with Commentaries, MIT Press, Cambridge, MA. Principles of Neural Science 4th (fourth) Edition by Kandel, Eric, Schwartz, James, Jessell. Rapp, M., Yarom, Y. and Segev, I. (1992), The impact of parallel fiber background activity on the cable properties of cerebellar Purkinje cells, Neural Computation 4: 518–533. Burke R. Spinal motoneuron Neuroscience in the 21st Century: From Basic to Clinical. 1027-1062. Wilson, C. J. (1992). Dendritic morphology, inward rectification and the functional properties of Neostriatal neurons, in T. McKenna, J. Davis and S. Zornetzer (eds), Single Neuron Computation, Academic Press, San Diego, pp. 141–172. Rall, W. (1959), Branching dendritic trees and motoneuron membrane resistivity, Exp. Neurol. 1: 491–527. Rall, W. (1964), Theoretical significance of dendritic trees for neuronal input-output relations, in R. Reiss (ed. ), Neuronal Theory and Modeling, Stanford University Press, Stanford, CA, pp. 73–97. Segev, I., Rinzel, J. and Shepherd, G. H. (Eds) (1995), The Theoretical Foundation of Dendritic Function: Selected Papers by Wilfrid Rall with Commentaries, MIT Press, Cambridge, MA. White, E. L. (1989). Cortical circuits: Synaptic organization of the cerebral cortex — Structure, function and theory, Birkhȧuser, Boston. Shepherd, G. M. (1990), The Synaptic Organization of the Brain, third edn, Oxford University Press, New York. Segev, I. (1995). Denritic processing, in M. A. Arbib (ed. ), The Handbook of Brain Theory and Neural Networks, MIT Press, Cambridge, MA. Segev, I. and Rall, W. (1988), Computational study of an excitable dendritic spine, J. Neurophsiol. 60: 499–523. Koch, C. and Zador, T. (1993), The function of dendritic spines: Devices subserving biochemical rather than electrical compartmentalization, J. Neuroscience 13: 413–422. Stuart, G. J. and Sakmann, B. (1994), Active propagation of somatic action potentials into neocortical pyramidal cell dendrites, Nature 367: 69–72. Bower, J. and Beeman, D. The Book of GENESIS, Exploring Realistic Neural Models with the General Neural Simulation System, 2nd edition, 1997, Springer Publishing Company. Zohuri, B., Dimensional Analysis and Self-Similarity Methods for Engineers and Scientists Apr 16, 2015. Rall, W. (1989), Cable theory for dendritic neurons, in C. Koch and I. Segev (eds), Methods in Neuronal Modeling, MIT Press, Cambridge, MA, chapter 2, pp. 9–62. Jack, J. J. B., Noble, D. and Tsien, R. W. (1975), Electric Current Flow in Excitable cells, Calderon Press, Oxford. Jackson, J. D. Classical Electrodynamics. Wiley Published by John, 1962. Abbott, L.F. (1991), Realistic synaptic inputs for model neural networks. Network, 2:245-258. Rall, W. (1969) Time constant and electrotonic length of membrane cylinders and neurons, Biophys. J. 9: 1483–1508. Rall, W (1977), Cable theory for neurons, in E. R. Kandel, J. M. Brookhardt and V. B. Mountcastle (eds), Handbook of Physiology: The Nervous System, Vol. 1, Williams and Wilkins, Baltimore, chapter 3, pp. 39–98. Rall, W (1967). Distinguishing theoretical synaptic potentials computed for different somadendritic distribution of synaptic inputs, J. Neurophysiol. 30: 1138–1168. Ranck, J. B. (1973), Studies on single neurons in dorsal hippocampal formation and septum in unrestrained rats. I. behavioral correlates and firing repertoires, Exp. Neurol. 41: 462–531. Bloomfield, S. A., Hamos, J. E. and Sherman, S. M. (1987). Passive cable properties and morphological correlates of neurones in the lateral geniculate nucleus of the cat, J. Physiol. (London) 383: 653–692. Rall, W. and Rinzel, J. (1973). Branch input resistance and steady state attenuation for input to one branch of a dendritic neuron model, Biophys. J. 13: 648–688. Rinzel, J. and Rall, W. (1974), Transient response in a dendritic neuron model for current injected at one branch, Biophys. J. 14: 759–790. Segev, I., Fleshman, J. W. and Burke, R. E. (1989), Compartmental models of complex neurons, in C. Koch and I. Segev (eds), Methods in Neuronal Modeling, MIT Press, Cambridge, MA, chapter 3, pp. 63–96. Yamada, W. M., Koch, C., and Adams, P. R. (1989), Multiple channels and calcium dynamics. In Koch, C. and Segev, I., editors, Methods in neuronal modeling: From synapses to networks, chapter 4. MIT Press, Cambridge, MA. Ekeberg, O., Wallen, P., Lansner, A., Traven, H., Brodin, L., and Grillner, S. (1991). A computer based model for realistic simulations of neural networks. Biol. Cybern., 65:81-90. Mel, B. W. (1994), Information processing in dendritic trees. Neural Comput., 6(1031-1085). Gabbiani, F., Midtgaard, J., and Knoepfl, T. (1994), Synaptic integration in a model of cerebellar granule cells. J. Neurophysiol., 72:999-1009. Corrigenda have been published in J. Neurophysiol. (1996) 75(6), without covering, however, all typing errors. Ito, M. (1984). The Cerebellum and Neural Control. Raven Press, New York. Otmakhov, N., Shirke, A. M. and Malinow, R. (1993), Measuring the impact of probabilistic transmission on neuronal output, Neuron 10: 1101–1111. Barbour, B. (1993). Synaptic currents evoked in Purkinje cells by stimulating individual granule cells, Neuron 11: 759–769. Koch, C., Poggio, T. and Torre, V. (1982), Retinal ganglion cells: a functional interpretation of dendritic morphology, Phil. Trans. R. Soc. Lond. (Biol.) 298: 227–264. Rinzel, J. and Rall, W. (1974). Transient response in a dendritic neuron model for current injected at one branch, Biophys. J. 14: 759–790. Agmon-Snir, H. and Segev, I. (1993), Signal delay and input synchronization in passive dendritic structures, J. Neurophysiol. 70: 2066–2085. Bernander, O., Douglas, R. D., Martin, K. A. and Koch, C. (1991). Synaptic background activity influences spatiotemporal integration in single pyramidal cells, Proc. Natl. Acad. Sci. (USA) 88: 11569–11573. Laurent, G. (1993). A dendritic gain control mechanism in axonless neurons of the locust, Schistocerca americana, J. Physiol. (London) 470: 45–54. McKenna, T., Davis, J. and Zornetzer, S. F. (eds) (1992). Single Neuron Computation, Academic Press, San Diego. Wilson, C. J. (1992). Dendritic morphology, inward rectification and the functional properties of neostriatal neurons, in T. McKenna, J. Davis and S. Zornetzer (eds), Single Neuron Computation, Academic Press, San Diego, pp. 141–172 Mel, W. B. (1993), Synaptic integration in an excitable dendritic trees, J. Neurophys. 70: 1086–1101. Rall, W. and Segev, I. (1987), Functional possibilities for synapses on dendrites and on dendritic spines, in G. M. Edelman, E. E. Gall and W. M. Cowan (eds), Synaptic Function, Wiley, New York, pp. 605–636. Pinski, P. F. and Rinzel, J. (1994). Intrinsic and network rhythmogenesis in a reduced Traub model for CA3 neurons, J. Comput. Neurosci. 1: 39–60. Haberly, L. B. (1990). Olfactory cortex, in G. M. Shepherd (ed. ), The Synaptic Organization of the Brain, Oxford University Press, New York, chapter 10, pp. 317–345. Wilson, M. and Bower, J. M. (1992) “Cortical oscillations and temporal interactions in a computer simulation of piriform cortex,” J. Neurophysiol, 67: 981–995. Hasselmo, M. E. and Bower, J. M. (1993). Acetylcholine and memory, Trends Neurosci. 16: 218–222. Bower, J. M. (1995). Reverse engineering the nervous system: An in vivo, in vitro, and in computer approach to understanding the mammalian olfactory system, in S. F. Zornetzer, J. L. Davis and C. Lau (eds), An Introduction to Neural and Electronic Networks, second eds, Academic Press, New York, NY, pp. 3–28. Haberly, L. B. (1985). Neuronal circuitry in olfactory cortex: anatomy and functional applications, Chemical Senses 10: 219–238. Haberly, L. B. and Bower, J. M. (1989). Olfactory cortex – model circuit for study of associative memory, Trends Neurosci. 12: 258–264. Wilson, M. A. and Bower, J. M. (1989). The simulation of large scale neural networks, in C. Koch and I. Segev (editors), Methods in Neuronal Modeling, MIT Press, Cambridge, MA, chapter 9, pp. 291–333. Wilson, M. A. (1990). CIT Thesis, PhD thesis, California Institute of Technology, Pasadena. Tseng, G. and Haberly, L. B. (1986). A Synaptically mediated K+ potential in olfactory cortex: characterization and evidence for interneuronal origin, Soc. Neurosci. Abst. 12: 667. Protopapas, A. and Bower, J. M. (1994). Sensitivity in the response of piriform pyramidal cells to fluctuations in synaptic timing, in F. H. Eeckman (ed. ), Computation in Neurons and Neural Systems, Kluwer Academic Publishers, Norwell, MA, pp. 185–190. Constanti, A. and Sim, J. A. (1987). Calcium-dependent potassium conductance in guinea pig olfactory cortex neurons in vitro, J. Physiol. (London) 387: 173–194. Constanti, A., Galvan, M., Franz, P. and Sim, J. A. (1985). Calcium-dependent inward currents in voltage clamped guinea-pig olfactory cortex neurons, Pfϋlgers Arch. 404: 259–265. Constanti, A. and Galvan, M. (1983), Fast-inward rectifying current accounts for anomalous rectification in olfactory cortex neurons, J. Physiol. (London) 385: 153–178. Biedenbach, M. A. and Stevens, C. F. (1969a). Electrical activity in cat olfactory cortex produced by synchronous orthodromic volleys, J. Neurophysiol. 32: 193–203. Biedenbach, M. A. and Stevens, C. F. (1969b). Electrical activity in cat olfactory cortex as revealed by intracellular recording, J. Neurophysiol. 32: 204–214. Haberly, L. B. and Bower, J. M. (1984). Analysis of association fiber pathway in piriform cortex with intracellular recording and staining techniques, J. Neurophysiol. 51: 90–112. Haberly, L. B. (1978), Application of collision testing to investigate properties of association axons originating from single cells in the piriform cortex of the rat, Soc. Neurosci. Abst. 4: 75. Devor, M. (1976). Fiber trajectories of olfactory bulb afferents in hamster, J. Comp. Neurol. 166: 31–48. Haberly, L. B. (1973a). Summed potentials evoked in opossum prepyriform cortex, J. Neurophysiol. 36: 775–788. Haberly, L. B. (1973b). Unitary analysis of opossum prepyriform cortex, J. Neurophysiol. 36: 762–774. Satou, M., Mori, K., Tazawa, Y. and Takagi, S. F. (1982). Long lasting disinhibition in pyriform cortex of the rabbit, J. Neurophysiol. 48: 1157–1163. Tseng, G. and Haberly, L. B. (1986). A Synaptically mediated K+ potential in olfactory cortex: characterization and evidence for interneuronal origin, Soc. Neurosci. Abst 12: 667. Nunez, P. L. (1981). Electric Fields of the Brain: The Neurophysics of EEG, Oxford University Press, Oxford. Ketchum, K. L. and Haberly, L. B. (1991). Fast oscillations and dispersive propagation in olfactory cortex and other cortical areas: A functional hypothesis, in J. Davis and H. Eichenbaum (eds), Olfaction: A Model System for Computational Neuroscience, MIT Press, Cambridge, MA, chapter 3, pp. 69–100. Ranck, J. B. (1973). Studies on single neurons in dorsal hippocampal formation and septum in unrestrained rats. I. behavioral correlates and firing repertoires, Exp. Neurol. 41: 462–531. Larson, J., Wong, D. and Lynch, G. (1986). Patterned stimulation at the theta frequency is optimal for the induction of hippocampal long-term potentiation, Brain Res. 368: 347–350. Staubli, U. and Lynch, G. (1987). Stable hippocampal long-term potentiation elicited by ‘theta’ pattern stimulation, Brain Res. 435: 227–234. Kanter, E. D. and Haberly, L. B. (1990). NMDA-dependent induction of long-term potentiation in afferent and association fiber systems of piriform cortex in vitro, Brain Res. 525: 175–179. Macrides, F., Eichenbaum, H. B. and Forbes, W. B. (1982). Temporal relationship between sniffing and the limbic theta-rhythm during odor discrimination reversal-learning, J. Neurosci. 2: 1705–1717. Adrian, E. D. (1942). Olfactory reactions in the brain of the hedgehog, J. Physiol. (London) 100: 459–473. Gray, C. M., Konig, P., Engel, A. K. and Singer, W. (1989). Oscillatory responses in cat visual-cortex exhibit inter-columnar synchronization which reflects global stimulus properties, Nature 338: 334–337. Bressler, S. L. (1990). The gamma wave: a cortical information carrier?, Trends Neurosci.13: 161–162. Crick, F. and Koch, C. (1990). Towards a neurobiological theory of consciousness, Sem. Neurosci. 2: 263–275. Wilson, M. and Bower, J. M. (1991). A computer simulation of oscillatory behavior inprimary visual cortex, Neural Computation 3: 498–509. Bower, J. M. (1995). Reverse engineering the nervous system: An in vivo, in vitro, and in computo approach to understanding the mammalian olfactory system, in S. F. Zornetzer, J. L. Davis and C. Lau (eds), An Introduction to Neural and Electronic Networks, second edn, Academic Press, New York, NY, pp. 3–28. Lefteri H. Tsoukalas and Robert E. Uhrig, “Fuzzy and Neural Approaches in Engineering,” John Wiley and Sons, Inc. 1997. Paul, G., & Cox, E. (1996). Beyond humanity: Cyberevolution and future minds. Rockland: Charles River Media. Searle, J. (1980). Minds, brains, and programs, In D. Hofstadter & D. Dennett (Eds. ), The Mind's I (pp. 353-373). New York: Basic Books. Kurzweil, R. (1999), The Age of spiritual machines. New York: Viking. Moravec, H. (1999), Robot: Mere machine to transcendent mind. New York: Oxford University Press. Moore, G. (1965), Cramming more components onto integrated circuits. Electronics 38, 8, 114-117. Schaller, R. (1996), The Origin, nature, and implications of “MOORE'S LAW” [Online]. Available: http://research.microsoft.com/~Gray/Moore_Law.html [1999, Aug 26]. Schaller, R. (1997). Moore's law: Past, present, and future. IEEE Spectrum, 34, 6, 53-59. Schaller, R. (1996). The Origin, nature, and implications of “MOORE'S LAW” [Online]. Available: http://research.microsoft.com/~Gray/Moore_Law.html [1999, Aug 26]. Moore, G. (1965) Cramming more components onto integrated circuits. Electronics 38, 8, 114-117. Rosenberg, S. (1999). Will the real Moore's law please stand up? [Online]. Available: http://www.salon1999.com/21st/rose/1997/10/02straight.html [1999, Aug 10]. Moore's law. (1995). [Online]. Available: http://www.netmeg.net/jargon/terms/m/ moore_s_law.html [1999, November 2]. Moore, G. (1997). An Update on Moore's law [Online]. Available: http://www.intel.com/pressroom/archive/speeches/gem93097.htm [1999, Aug 26]. Kane, M. (1997). [Letter to the editor] IEEE Spectrum, 34, 8, 8. Meieran, E. (1998). 21st Century semiconductor manufacturing capabilities [Online]. Available: http://developer.intel.com/technology/itj/q41998/articles/art_1.htm [1999, Aug 28]. Kanellos, M. (1999). Moore says Moore's law to hit wall [Online]. Available: http://www.news.com/News/Item/0,4,14751,00.html [1999, Aug 10]. Geppert, L. (1998), The Media event: Moore's law mania. IEEE Spectrum, 35, 1, 20-21. Lemos, R. (1999) Chips to hit size barrier in 2012 [Online]. Available: http://www.zdnet.co.uk/news/1999/25/ns-8637.html [1999, Aug 10]. Rupley, S. (1997). Defying Moore's law [Online]. Available: http://www.zdnet.com/ pcmag/news/trends/t970922a.htm [1999, Aug 26]. Stix, G. (1996), Waiting for breakthroughs. Scientific American, 274, 4, 94-99. Feynman, R. (1959). There's plenty of room at the bottom [Online]. Available: http://nano.xerox.com/nanotech/feynman.html [1999, October 21]. Copeland, J. (1993), Artificial intelligence: A philosophical introduction. Oxford: Blackwell. Yam, P. (1998). Intelligence considered. Scientific American Quarterly [Online]. Available: http://www.sciam.com/specialissues/1198intelligence/1198yam.html [1999, Oct 6]. Sternberg, R., & Detterman, D. (Eds.). (1986). What is intelligence? Norwood: Ablex Publishing Corporation. Kelly, J. (1993). Artificial intelligence: A modern myth. New York: E. Horwood. Sternberg, R. (1990). Metaphors of mind. Cambridge: Cambridge University Press. Gottfredson, L. (1998). The General intelligence factor. Scientific American Presents: Winter 1998: Exploring Intelligence, 24-29. Gardner, H. (1998). A Multiplicity of intelligences. Scientific American Presents: Winter 1998: Exploring Intelligence, 18-23. Wilson, L. (1998b), The eighth intelligence: Naturalistic intelligence [Online]. Available: http://www.uwsp.edu/acad/educ/lwilson/LEARNING/natintel.htm [1999, Aug 26]. Haugeland, J. (1986), Artificial intelligence: The very idea. Cambridge: MIT Press. Turing, A. (1950). Computing machinery and intelligence. In D. Hofstadter & D. Dennett (Eds. ), The Mind's I (pp. 53-67). New York: Basic Books. Gandy, R. (1996). Human versus mechanical intelligence. In P. Millican, & A. Clark (Eds. ), Machines and thought (pp. 125-136). Oxford: Oxford University Press. Robinson, W. (1992). Computers, minds & robots. Philadelphia: Temple University Press. Copeland, J. (1993). Artificial intelligence: A philosophical introduction. Oxford: Blackwell. Searle, J. (1980). Minds, brains, and programs. In D. Hofstadter & D. Dennett (Eds. ), The Mind's I (pp. 353-373). New York: Basic Books. Hofstadter, D. (1981). Reflections, In D. Hofstadter & D. Dennett (Eds. ), The Mind's I (pp. 373-382). New York: Basic Books. Shinya Inoué and Kenneth R. Spring, Video Microscopy: The Fundamentals, Plenum Press, New York and London, 2 edition, 1997. S. Nie, D. T. Chiu, and R. N. Zare, “Probing individual molecules with confocal fluorescence microscopy,” Science, vol. 266, no. 5187, pp. 1018-21, 1994. Spring KR, Davidson MW. “Introduction to Fluorescence Microscopy.” Nikon Microscopy. Retrieved 2008-09-28. Ambrose, E. J. (24 Nov 1956). “A surface contact microscope for the study of cell movements.” Nature. 178 (4543): 1194. Bibcode: 1956Natur.178.1194A. doi:10.1038/1781194a0. Axelrod, D. (1 April 1981). “Cell-substrate contacts illuminated by total internal reflection fluorescence.” The Journal of Cell Biology. 89 (1): 141–145. doi:10.1083/jcb.89.1.141. PMC 2111781Freely accessible. PMID 7014571. Yanagida, Toshio; Sako, Yasushi; Minoghchi, Shigeru (10 February 2000). “Single-molecule imaging of EGFR signaling on the surface of living cells.” Nature Cell Biology. 2 (3): 168–172. doi:10.1038/35004044. PMID 10707088. Ambrose, W; et al. (1999). “Single-molecule detection with total internal reflection excitation: comparing signal-to-background and total signals in different geometries.” Cytometry. 36(3): 224.